Here’s all the products together in one place. They’re in order of being added to the site so the order is a bit random. But that can be good if you don’t know what you’re looking for! Have a scroll through and pick your favourites! 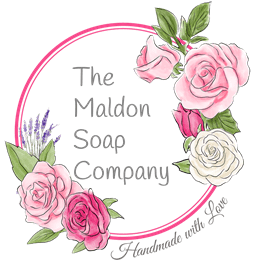 A wonderful range of handmade, sls free, palm free, gluten free, artificial colour free, glitter free soaps made from local, organic, lovely ingredients for plastic free washing, bathing and showering. 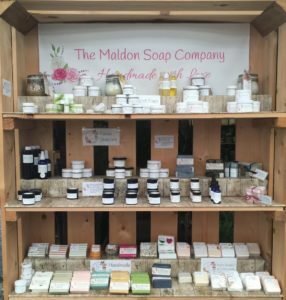 From pure oil unfragranced soaps to scrubby soaps and even ones you can wash your hair with there’s something for everyone! Cleansers, toners, face creams, serums and masks made from beautiful local, organic ingredients. Paraben free, sls free, palm free, cruelty free and 100% wonderful for your skin. There’s something for all skin types even sensitive. These products are what your skin would choose if it could go out shopping by itself! Body lotions, hand creams, foot scrubs, hair care and glorious balms and massage oils to take care of every inch of you. Come on in and click through the categories to see the great variety of products on offer. There’s something for everyone! A gorgeous range of magnesium rich bath bombs and salt soaks for all occasions whether its a quick bath or a long luxurious soak. And while showers are great I no longer sell shower gel because there is a plastic free, packaging free, germ free, sls free, paraben free, artificial colour free alternative. A bar of soap! Great for your skin and great for the planet too! A small but perfectly formed selection of gift boxes which are great for birthdays, new mums or just to say thank you. There’s sure to be something to suit everyone. If you love your pets then treat them to a pamper with our pet range of soaps and balms. Great for the dry, sensitive skin that dogs sometimes suffer from. Here are all the products listed by ingredient so if you’re looking for vegan products they’re all in here and if you want to check if something has coconut or lavender oil in you can see it here. A Beautiful, relaxing hair salon opening in Braintree. Bringing a modern and sustainable approach to town and offering the latest techniques and products. 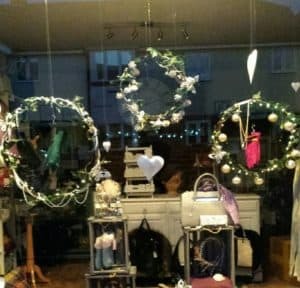 We are a small retail outlet selling lovely accessories and gift items. We stock leather and non leather handbags and purses and all types of jewellery. RE-use, RE-fill, RE-store the Earth. We want to help you go plastic free! 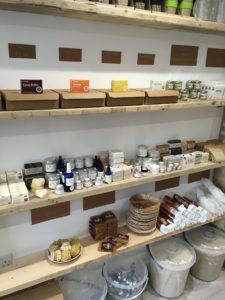 A zero waste store for household liquids, toiletries and dried foods. Have been using the Rose and Orange skin toner for a couple of months now, and absolutely love it. Bought the skin serum last week – even a few days use has already made a big difference. Love your products; they smell wonderful and they work!! Will gradually replace all my skincare with your range! Thank you. I finally tracked down this lovely little shop on a friends recommendation. I have very sensitive skin and eczema and I have to say I was skeptical that I would find anything to help it. I needn’t have worried. The skin saving balm is fantastic for calming and soothing my breakouts, in fact my skin feels totally different and my patches of eczema are definitely getting smaller. The intensive serum I bought for my face is, quite possibly, the best thing I’ve ever used. It’s hard to describe just how good my face feels the morning after using it, I can’t stop touching it! Both these products are 100% natural. As the lady in the shop said “nature works”. She was right! Hello Sue, I just had to message you about the products I bought from you recently. The Lavender Hand cream is absolutely gorgeous. I suffer from very dry hands and have tried so many different brands with the promise of smooth nourished skin , only to be disappointed. When I put your handcream on before bed, I was amazed at how little I needed. It was lovely, the fragrance was wonderful and being lavender it also helped me sleep. In the morning, my hands were soft, supple and my skin had a lovely sheen . I also used the Patchouli and orange shower and hand wash. It’s lovely, it didn’t dry my skin and the fragrance lasted all day. I brought the Dead Sea clay mask and I’m obsessed! It’s the best mask I’ve used and it doubles up as an exfoliator leaving my skin SO soft. I can’t wait to come back and try more products. Litsea cubeba shower gel. it is amazing !!! just like washing with lemon curd !! absolutely gorgeous. Just wanted to email you and thank you again for all your products! They improved my skin like no other skincare did. I keep recommending your products to all my friends and wishing you all the best! Pampered myself to warm up after a long day out in the cold yesterday with a lovely coconut bath bomb, a mud mask and a minty foot scrub soap and all were amazing!! Love these products!! 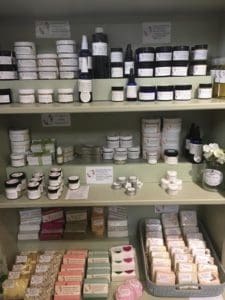 I visited this little shop after buying some of the products at The Jam Factory at Tiptree – and bought a whole lot more! I love them all, the smells are gorgeous! Can’t wait to visit again. Sue is such a lovely friendly lady. Totally gorgeous products – am in love with it all! Just ordered a top-up order as, after trying the 7 day skincare set, I want to make sure I don’t run out of the amazingly gentle eye and face creams – and topped it off with another soap I want to try and the body lotion. Definitely recommend these products, especially if you have sensitive skin – they’re ace and I can’t rate them highly enough! Have just bought some beautiful Pure Rose hand & body lotion from the Tiptree tea room. It smells gorgeous and left my skin silky soft with no horrid, greasy reside. Highly recommend it!! Have a question or query, let us know..